Basic Books (AZ), 9780465018772, 226pp. What can't neuroscience tell us about ourselves? Since fMRI--functional magnetic resonance imaging--was introduced in the early 1990s, brain scans have been used to help politicians understand and manipulate voters, determine guilt in court cases, and make sense of everything from musical aptitude to romantic love. But although brain scans and other neurotechnologies have provided groundbreaking insights into the workings of the human brain, the increasingly fashionable idea that they are the most important means of answering the enduring mysteries of psychology is misguided--and potentially dangerous. 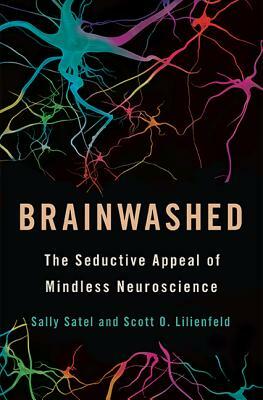 In Brainwashed, psychiatrist and AEI scholar Sally Satel and psychologist Scott O. Lilienfeld reveal how many of the real-world applications of human neuroscience gloss over its limitations and intricacies, at times obscuring--rather than clarifying--the myriad factors that shape our behavior and identities. Brain scans, Satel and Lilienfeld show, are useful but often ambiguous representations of a highly complex system. Each region of the brain participates in a host of experiences and interacts with other regions, so seeing one area light up on an fMRI in response to a stimulus doesn't automatically indicate a particular sensation or capture the higher cognitive functions that come from those interactions. The narrow focus on the brain's physical processes also assumes that our subjective experiences can be explained away by biology alone. As Satel and Lilienfeld explain, this "neurocentric" view of the mind risks undermining our most deeply held ideas about selfhood, free will, and personal responsibility, putting us at risk of making harmful mistakes, whether in the courtroom, interrogation room, or addiction treatment clinic.